While I’ve been painting a few individual medieval Middle Eastern figures for use with Frostgrave Warbands, I thought I’d try paint up a few of the units for the Lion Rampant Retinue and ultimately decided that I should start with this newly acquired cavalry… (last in, first out, I guess…). As I mentioned these figures are from Gripping Beast. 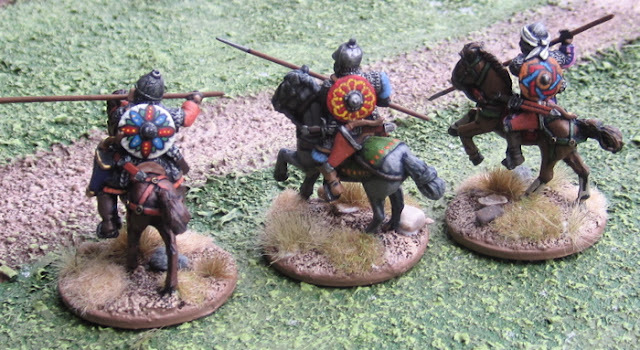 These will be classed as Mounted Sergeants (@ 4 points) with the Bow upgrade (+1 point = 5 points) in Lion Rampant. I reallyhad fun painting them – they’re quite colourful! I figured the elite cavalry would be a bit more well off than the common foot soldier and would like to show off their “bling”. I’m really happy with how the shields turned out. 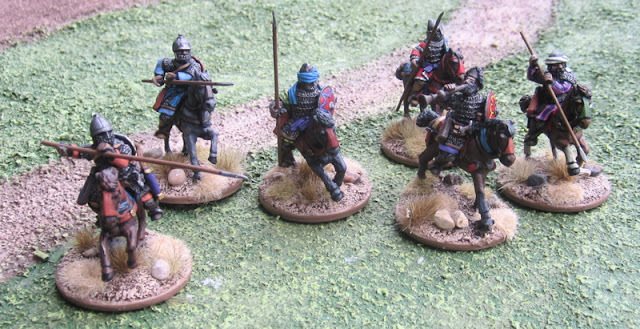 I have a few more European foot Men-at-Arms on the work bench that I might paint up next… but they could easily be swept off and replaced with… who-knows-what!? Lovely miniatures and also pleased to see more Frostgrave related posts! Really like the game both simple yet challenging. Cheers! Thanks! I was rather pleased with how they turned out as well! I agree, the shields (and the models themselves) look great! Where/how did you come up with the shield designs? 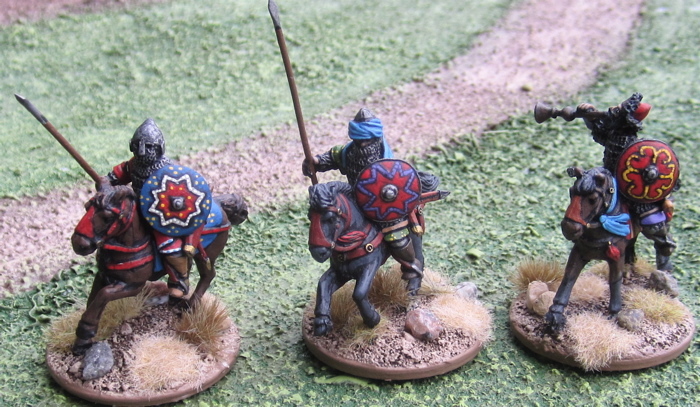 Mostly I looked at what other people were painting or at various manufacturers of shield transfers. Lovely looking figures, great looking shields you must have a fair few Arab troops now. Great figs! And those shields are the business! Lovely cav, Tim. 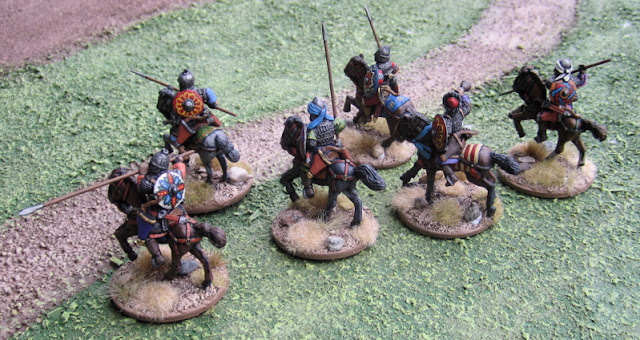 They'll look great as part of a Retinue or Warband. Outsranding shields and great paintjob!